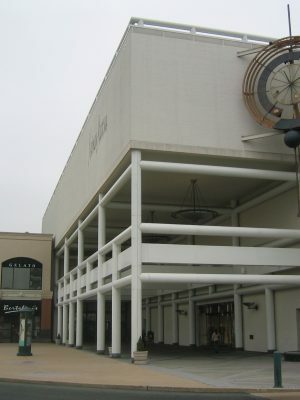 The Neiman Marcus outlet at the King of Prussia mall in Pensylvania is one of three store locations for the retail chain where Metalwërks Column and beam cladding is utilized. 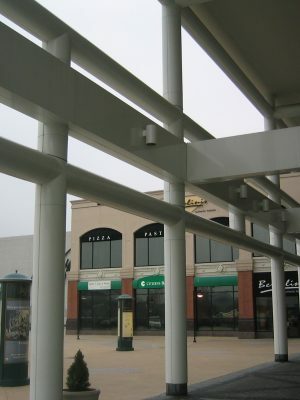 The material was selected for the supporting structure at the stores main entrances and at the porte cochere. 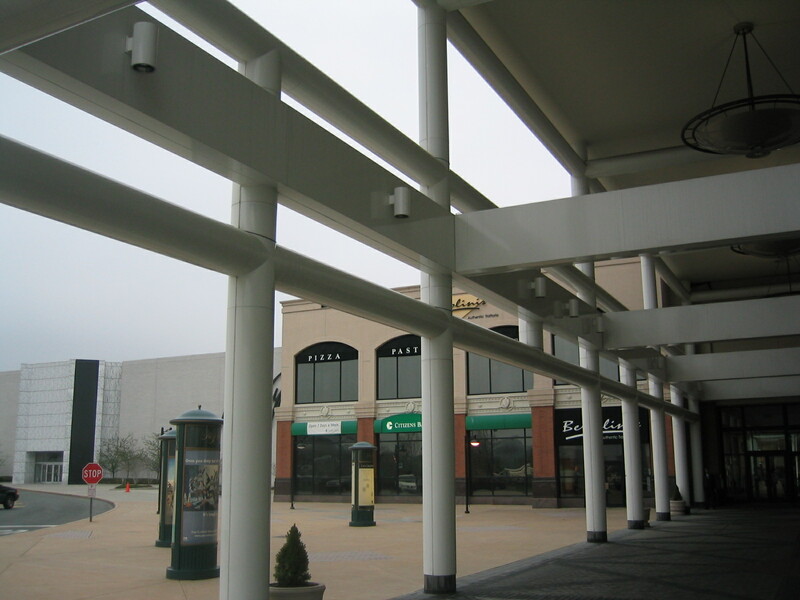 This project is unique in that both the column and the beam enclosures featured a 20 & 24” diameter which created complex intersections. 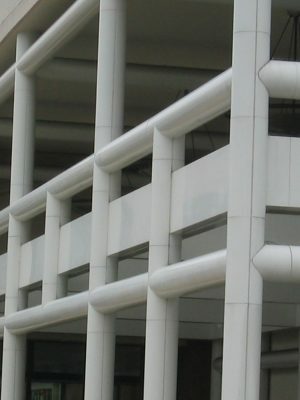 Metalwërks accepted the design challenge by custom-welding the 120 units of “Tee” intersections using the CNC-controlled plasma cutting technique to carve out the required shapes. 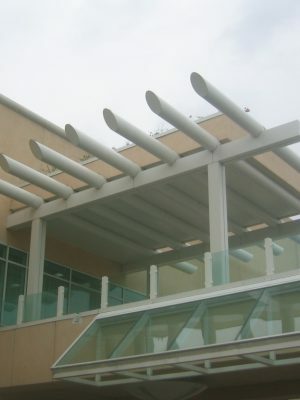 As a result, the intersection is thoroughly seamless and the enclosures were installed efficiently. 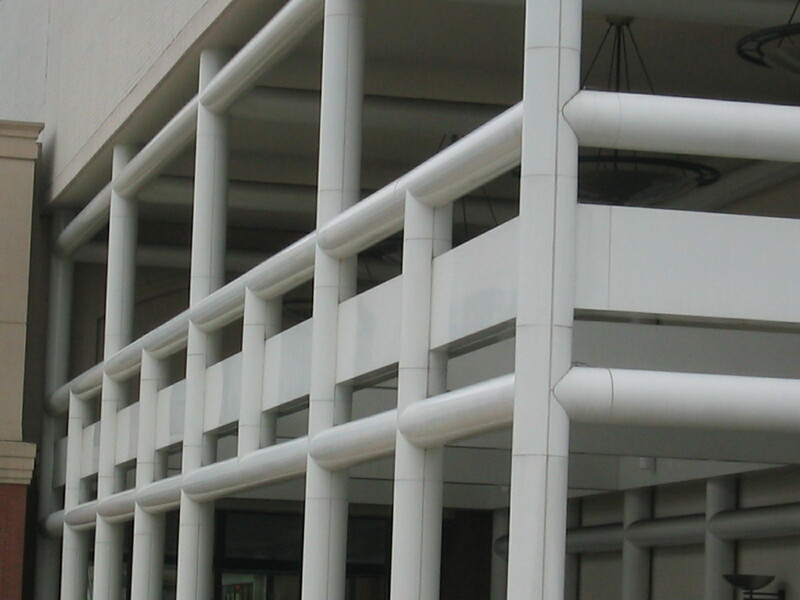 Secondary framing was designed and engineered to support the cladding. 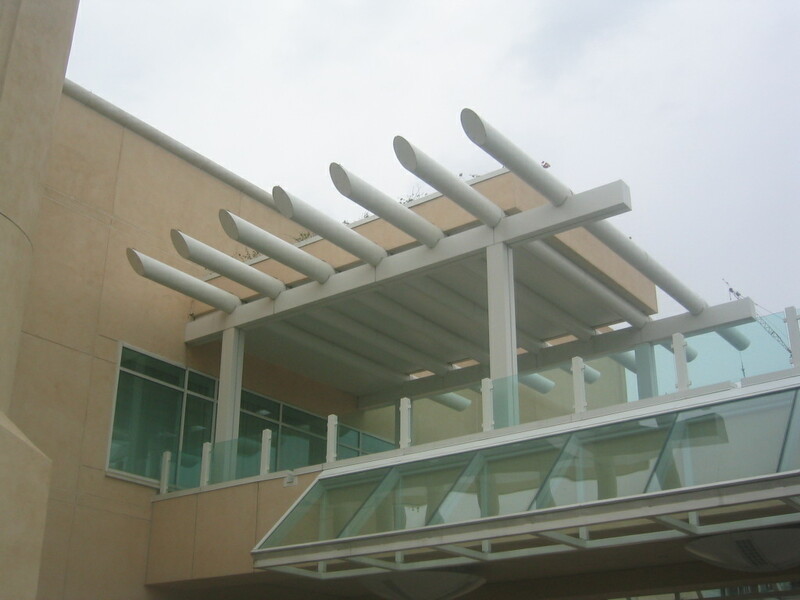 Metalwërks were responsible for other architectural elements, which included a 14” diameter continuous parapet rail designed to add definition to the store’s roof perimeter. 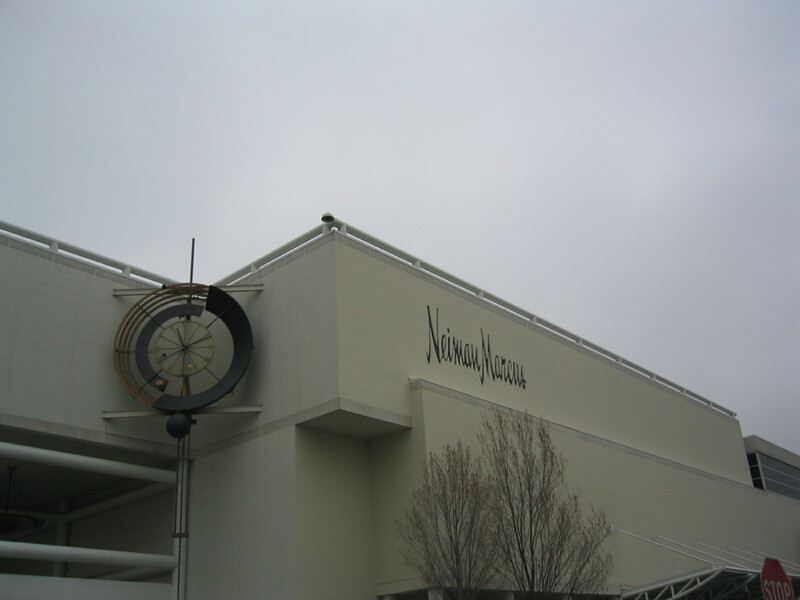 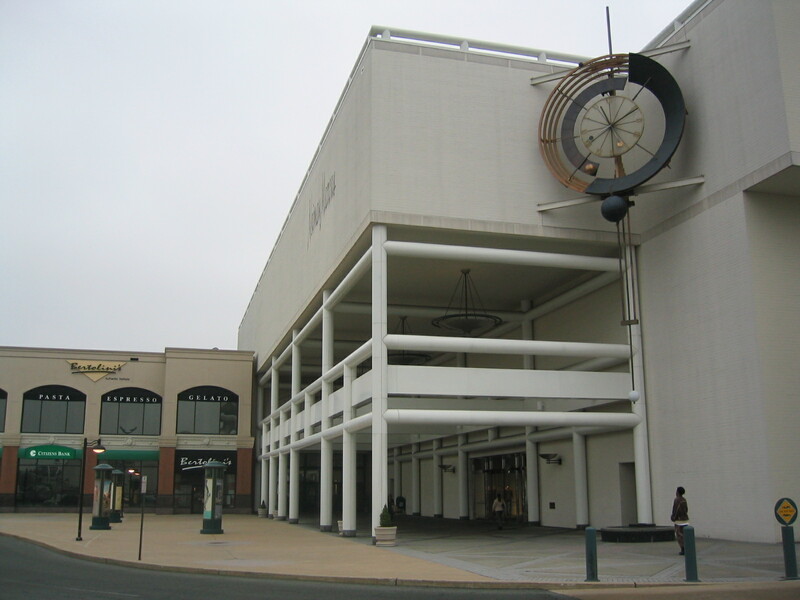 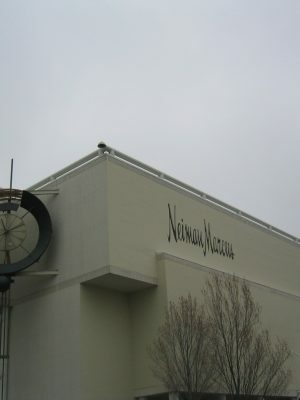 Other Neiman Marcus outlets located in Paramus, NJ and Tampa, FL utilized similar features, but these were individually adapted to each store’s unique design. 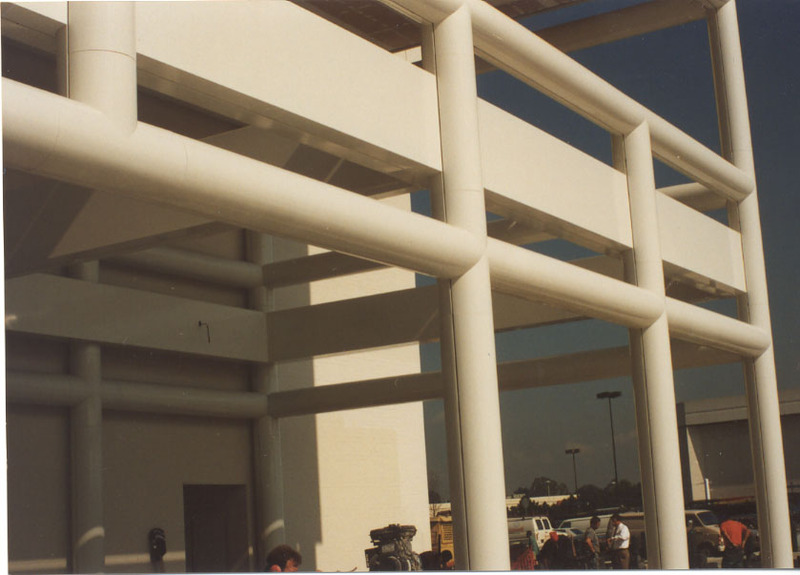 All products at all locations were protected with a Tiger Drylac series polyester powder coating to provide high impact and abrasion resistance to heavy traffic coming in and out of the store. 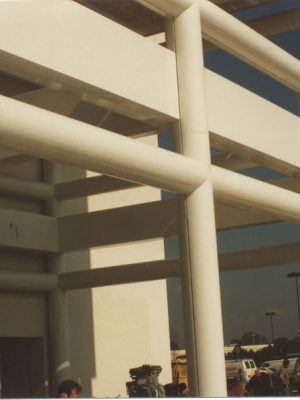 The coating also offered a high gloss texture that maintains it’s “like new” appearance.